Windows 10 plays startup sound when your computer starts up. 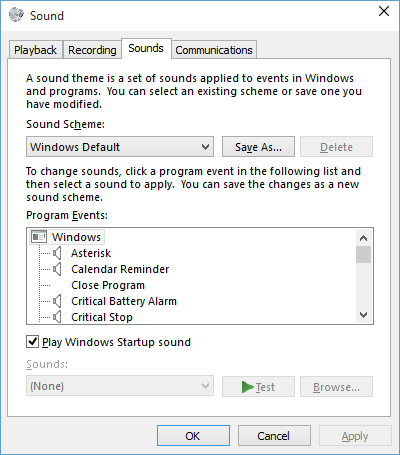 Follow below steps if you want to disable windows startup sound. 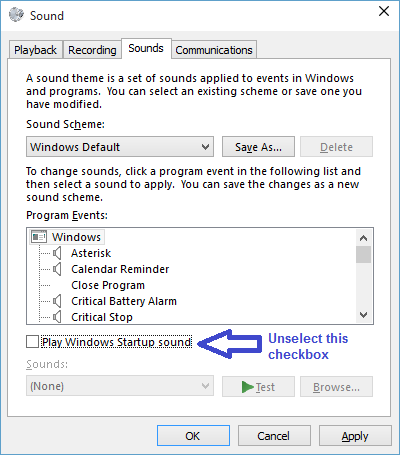 In Sound Settings dialog, Uncheck 'Play Windows Startup Sound' checkbox. Click on 'Apply' button and then click on 'OK' button to close Sound Settings dialog. 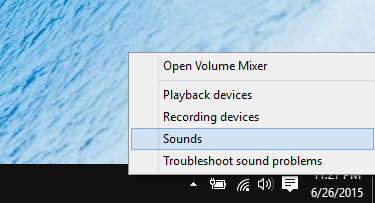 This will disable Windows startup sound from next computer startup.